Don’t we all want satisfied customers? People who are happy with a buying experience, according to business lore, tell three other people about their satisfactory experience. We all tend to “collect” satisfied customers we can point to as examples of our competence and proficiency as travel consultants. Most travel agents who have been in the business for any length of time can point to a small stable of satisfied customers. Here’s another piece of business lore, from our own industry. Out of 5 repeat cruisers, four will book with an agent other than the one who booked their first. I don’t know if a similar statistic exists for other segments of the industry, but let’s use cruise as the starting point for this brief study. Think that through for a moment: they are satisfied with the cruise experience, but they book with with another agent. Maybe it’s not enough to have satisfied customers. Maybe you don’t want satisfied customers. Perhaps you need to move the customer way, way beyond satisfied. When a client is satisfied at a most basic level, they are typically satisfied with a transaction. Everything went well. They enjoyed their experience without any major hitches that went unresolved. But as we have indicated in the past, moving clients from one transaction to the next is no way to build an insanely great travel practice. It’s not enough for a client to be satisfied. For a client to be an evangelist for your travel practice, for them to recommend you to their friends and acquaintances, for the client to think of you each and every time they think of traveling, they have to be more than satisfied. They have to be WOW’d. How do you introduce the WOW factor into what you do? Think about the times you have been WOW’d by a company. How did they manage to generate your enthusiasm? Typically, whatever they did was some small, incidental act. It wasn’t the core transaction, but some small extra bit of time they spent with you, some way that they managed to make you feel special, a few words, some empathy, a gesture that indicated they understood you as a human being and were acknowledging that understanding with a demonstration of their appreciation. 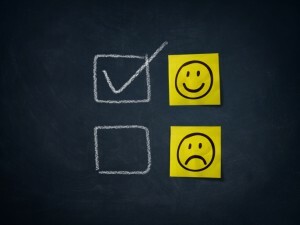 You don’t want merely satisfied customers; you want loyal customers, client who have a relationship with you based not just on satisfaction with a transaction, but on a shared understanding of their needs and your willingness to actively and eagerly meet those needs and then to go beyond the transaction. Every client has a hierarchy of needs. Most companies stop when the most basic are fulfilled, when the transactional needs are met. However, clients have other needs, some of which they are completely unaware in the course of a travel planning exercise. It’s you as the professional in the relationship who must have an awareness of those needs and who will take the next step beyond the transaction. Perhaps it’s the destination guide you provide them, or the tip about the “secret” diner where the locals eat. Maybe it’s the invitation to the manager’s reception you obtain for them or a comment from the hotel concierge, welcoming them as special guests of both you and the hotel. Maybe it’s the concern you demonstrate after they return home in your follow-up efforts. Whatever your mode of taking your client beyond the transaction into a relationship, use it well and consistently. Many travel agents provide the “extras” only for their larger transactions. Right. Transactions. Relationships are built not around transactions, but around the extras. Importantly, make the extras client-centric. A bottle of wine won’t be of value to someone who doesn’t drink. Discover during your research what is valuable to a client, what they appreciate in a relationship, and then make that client-centric value a part of your exchange. Next time you book a bare hotel room for a client, or an airline ticket, or perform some other simple task for which your own remuneration is minimal, take the opportunity to WOW the client by going the extra mile. Do something that will make them remember not only the transaction, but their encounter with you. Your small efforts will pay off in a very tangible way. Getting your customers to return and bring their friends with them will radically change the economics of your travel practice for the better. Move your clients beyond satisfaction, beyond transaction, to loyalty. Then watch your practice grow.